50/52 Brushfield Street, Spitalfields, London, E1 6AG. one of those reliable places I just keep going back to. I was first drawn to its quintessentially British charms when showing my Dutch friend around the city. With so many chains and imports, it can be difficult to find somewhere so traditional yet down to earth. Yes, they do afternoon tea. But no, you don’t need to put your little finger up when drinking your tea. And they won’t mind if you just want to pop in for a coffee and a cookie either. 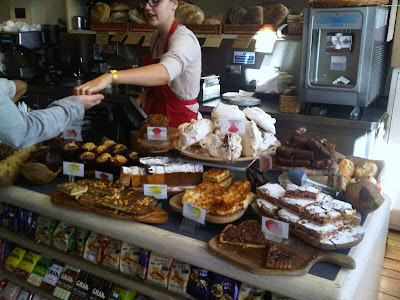 Serving breakfasts ranging from yogurts, cereals and compotes (my favourite!) to a full English there’s always something you fancy. And with prices ranging from £2 - £9 you can even afford to mix and match if you want to! Lunch is a bit more of a formal affair (I’m sure I once had a cheese toastie but they must have gone upmarket of late) with a wide selection including soup, oysters and salt beef sarnies. Prices are still reasonable though (sea bass / steak comes in at £15.50). Afternoon tea is served from 3pm and includes finger sandwiches, scones, mini cakes and tea. At £11 per person it’s a good alternative to the much more pricey upmarket hotels. I’ve never stayed for dinner and think that might be slightly out of the remit of this blog, however, I have met a friend here for an after work glass of vino once or twice and the evening atmosphere is just as convivial and the wine is yummy! The English Restaurant has a website, and is on Facebook. My sister and I ventured away from East London this weekend to sample the delights of Clapham. Despite the rumours, south London is not only the destination of choice for those seeking to settle down, procreate etc. but a haven of creativity. During our short visit, we ambled from Clapham South tube to Clapham Common, taking in innovative craft businesses (Papered Parlour, Sew over it), designers (Lisa Stickley) and a good few cafes. 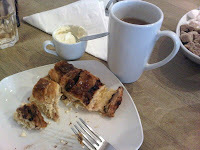 Having exhausted our feet and purses at the Papered Parlour maker’s market and open studios, we found ourselves peckish so headed down the high street to deli/cafe/patisserie, Esca. 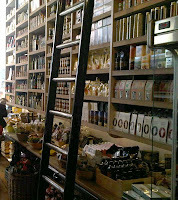 On first entering I was transported back to a childhood fantasy, the ladder used to access the floor to ceiling shelving reminding me of a particular scene in a book shop in beauty and the beast... A good start if ever there was one. I describe Esca as a deli/cafe/patisserie because it’s almost impossible to categorise. 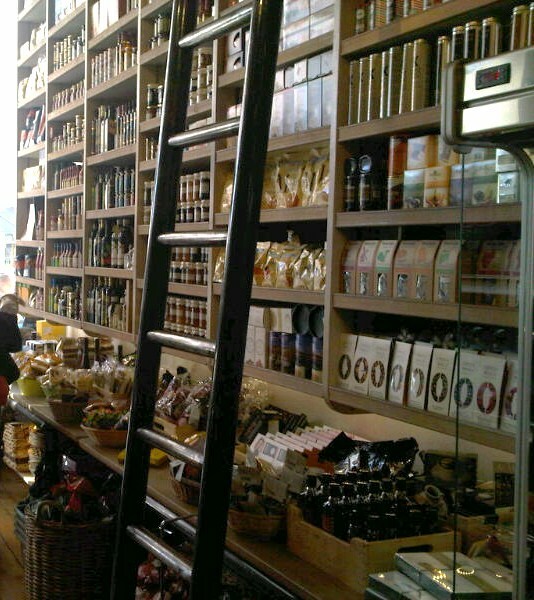 The wall shelving is piled high with jams, preserves, olive oil, teas and seasonal produce, the front window bursting with pastries, cakes, slices and bakes and the fridges inside laden with salads, sandwich fillings and more hearty options such as baked cod or lasagne. A real feast for the senses – you’re almost paralysed by choice. Not wanting to miss out on what could prove to be their trump card, we mixed and matched a pesto chicken filled wholemeal baguette, with a beetroot and orange salad, then went for the croissant pudding (with cream). 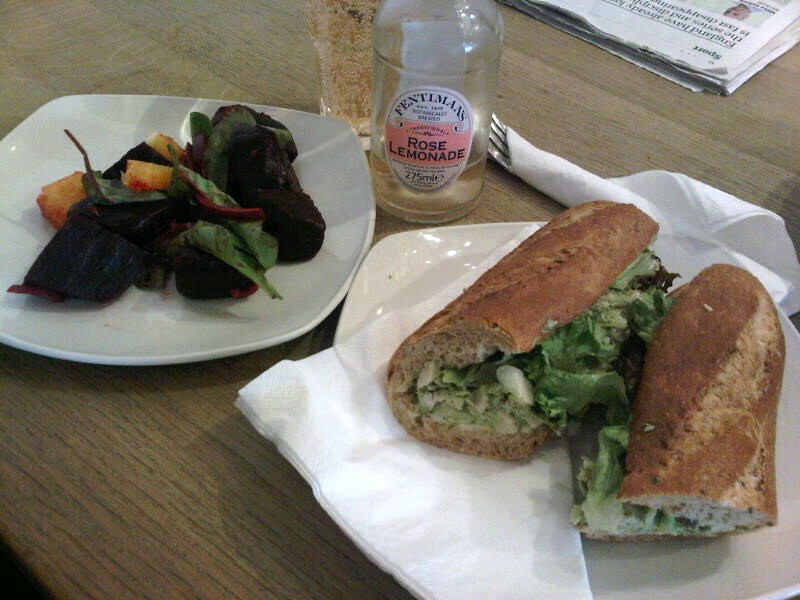 Washed down with a pink lemonade and Earl Grey tea, the bill came in at about £10 each. The food was delicious and the staff impeccably attentive and friendly. It was reasonable priced and there was plenty of communal seating at the back. My only criticism would be that, compared to the visual feast at the front of the shop, the seating area had a distinct lack of chemistry or charm. It was functional, but not somewhere I’d be tempted to linger were it not for the fantastic food. All in all, a lovely day out.